Morpho, a part of the Safran Group, launched Morpho Trusted Identity Services— a suite of solutions for secure online management of identity services. The solutions will enable government agencies and private firms such as banks or telecom operators to offer users an online platform for fast, seamless and secure access to services. 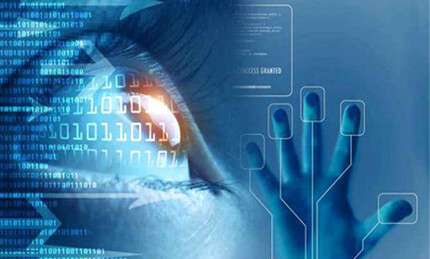 The Morpho Trusted Identity Service can be accessed using a desktop computer, laptop, tablet or smartphone and will support e-Government applications, e-banking, e-commerce and secure payment. The solutions are assembled on a platform that integrates the technical components required to conduct secure transactions— PKI, Card Management Systems, Trusted Service Management, strong authentication, electronic signatures, secure elements and biometric sensors. Morpho also struck an agreement with American Banknote Corporation that will see Morpho acquire bankcard personalization specialist CPS Technologies SAS and card manufacturer ABnote Czech sro. Part and parcel to the acquisitions, Morpho will extend its European network of bank card personalization centers and bolster its ability to offer its customers proximity payment card solutions and services. The acquisition of France-based CPS Technologies SAS will strengthen Morpho’s presence in the region. Headquartered in Lyon, CPS maintains bankcard personalization and Trusted Service Management Center, which Morpho will utilize. Morpho’s relationship with CPS Technologies SAS dates back to 2002 when the pair supplied a number of major French and European banks with personalized credit and debit cards. Morpho’s acquisition of ABnote Czech sro will enhance its manufacturing and personalization capabilities, while positioning itself in the emerging Eastern European market. ABnote Czech has also worked with Morhpho in the past, and has been a qualified Morpho supplier of EMV card bodies since 2010. Morpho expects the official acquisition of ABnote Czech to be completed before year’s end.